Can acupressure help relieve knee pain? Are you interested in reducing pain and soreness in your knees? Are you suffering from joint pain when you walk or run, or maybe when you go up the stairs? 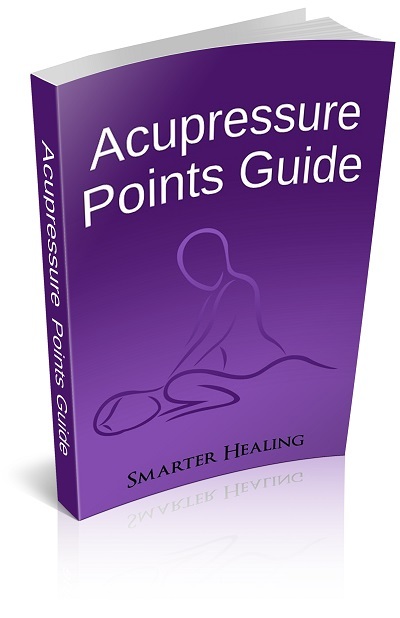 Thankfully, the acupressure points found on this page can be used to help alleviate your problems. By using acupressure for knee pain, you may notice a decrease in acute pain, a reduction in swelling around the joint in question, and an increase in blood circulation to the knee area. This helps promote natural healing by the body. For best results, you should apply a warm pad or towel soaked in warm water to your knees, to help increase blood flow in and around the joint. Once the joint is warm, you can use the following acupressure points to maximize recovery from your knee pain. 1. Bladder 54, on the back of the knee, in the center of the knee crease. Use this acupressure point to help relieve your knee pain. It will also help reduce stiffness in the knee joint. This point is also used to reduce back pain and sciatica. 2. Liver 8, on the inside side of the knee, where the knee crease ends when your knee is bent. Use this acupressure point to reduce knee pain. It is also effective at reducing swelling in the knees. 3. Kidney 10, on the inside of the leg, on the edge of the knee crease. This acupressure point also helps with reduction in knee pain. It is also used to reduce abdominal pain. 4. 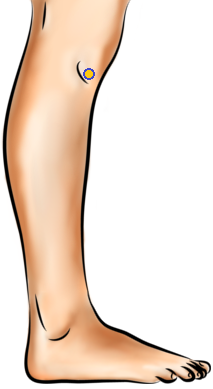 Spleen 9, located on the inside of your leg, a little bit lower than the head of the shinbone. This acupressure point is effective at reducing knee problems of all kinds. It helps reduce swelling in the legs. It also helps alleviate tension and cramps in the leg muscles. 5. Gallbladder 34, located on the outside of the leg, near the front of the leg, just below the knee. You should use this acupressure point to relieve intense pain in the knees. It will also relieve muscular tension in the legs and knees, and muscle aches in the legs. Finally, this pressure point will also be effective at healing muscle strains in the legs. 6. Bladder 53, on the outside of the knee, where the knee crease ends when the knee is bent. 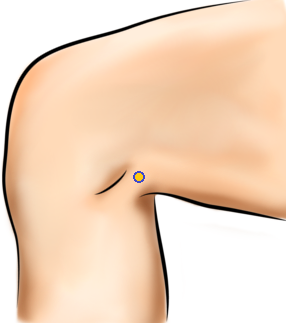 This pressure point helps reduce knee pain and alleviate stiffness in the knees. 7. Stomach 35, slightly on the outside of the knee, just below the kneecap. This point will reduce knee pain, and help alleviate stiffness of the knees. It's also helpful for getting rid of rheumatism (inflammation and/or pain) of the feet, and swelling of the feet and legs. 8. Stomach 36, on the front of the leg, just four finger widths below the kneecap. This acupressure point is unique in that it will help strengthen the muscles of your entire body, including your knees and legs. It also helps relieve knee pain, and tones the muscles of the body.